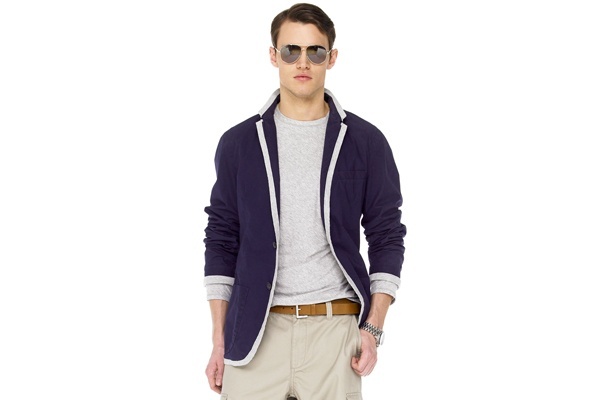 With the summer looming, we’re stocking up on essentials like this trimmed jersey blazer by Michael Kors. A dark blue jersey blazer is detailed with a soft grey piping along the edges. A fine warm weather choice, pair it with a crisp white pique polo for a day at the beach. Available online now. This entry was posted in Blazers, Tops and tagged jersey, Michael Kors. Bookmark the permalink.